Welcome back to Top 5 Wednesday! T5W is a weekly meme is hosted by Sam @ ThoughtsOnTomes. You can visit the Goodreads T5W group for more info. This week’s topic is Favorite Science Fiction & Fantasy Books. I decided to share some of my favorite series in these genres so I can include more books 😉 Enjoy! 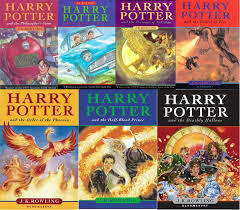 Harry Potter Series by J. K. Rowling // No explanation needed here. I adore this series. And everyone should read it. Check out my reviews here. 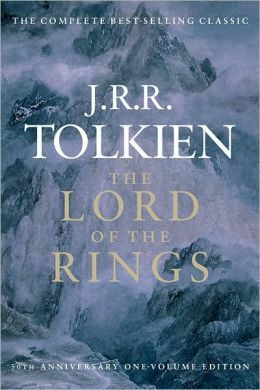 The Lord of the Rings by J. R. R. Tolkien // The classic fantasy series that offers rich characters, plots, and themes. A must read in the genre. I would love to reread this series and blog about it. The Lunar Chronicles by Marissa Meyer // This is one of my recent favorite series (check out my reviews here. I guess it’s more sci fi than fantasy, but regardless, I think the stories are clever and the misfit band of protagonists is endearing. 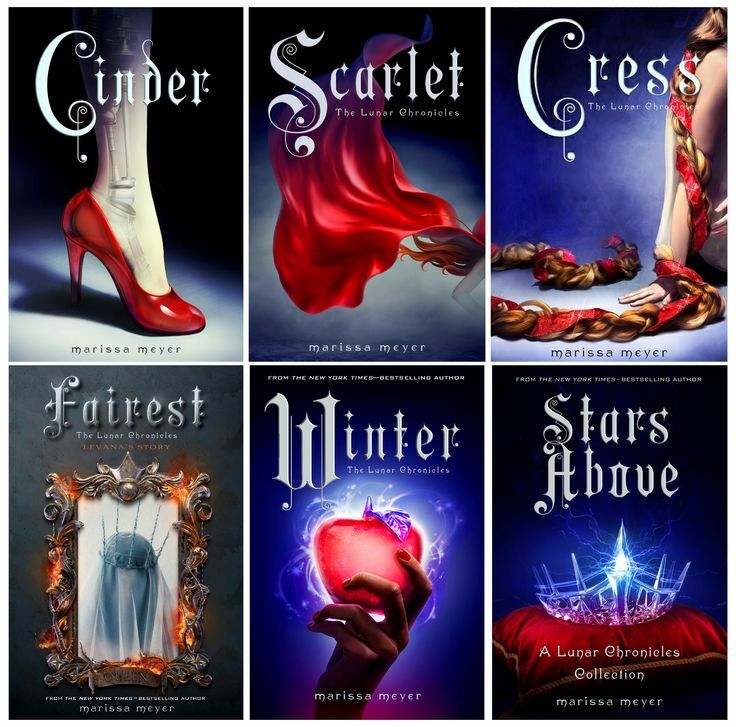 I include pictures of the extra books in the series–Fairest and Stars Above. If you’re going to read this series, you should experience it all. 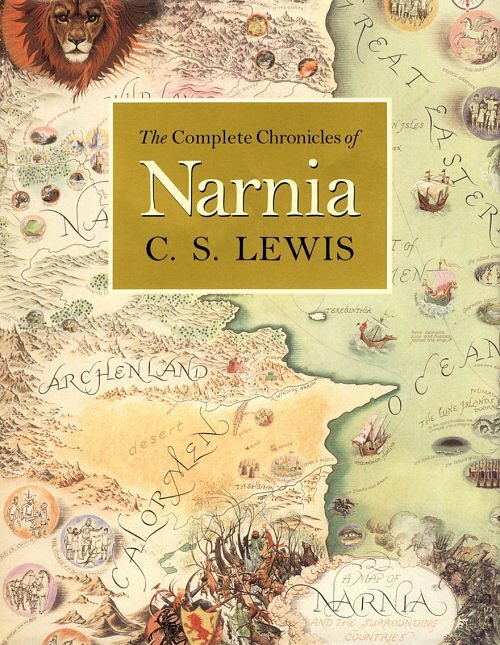 The Chronicles of Narnia by C. S. Lewis // What I love most about Narnia is how accessible it is for people of all ages. Children can engage with the basic story and adults can appreciate the incredible Christian allegories at play throughout. The Books of Bayern by Shannon Hale // I love Shannon Hale’s books in general. But there is something special about The Goose Girl. I have reviewed the first and last books in the series. Set in a beautiful world and told by a master storyteller, this series follows the coming of age stories of friends who learn the languages of the wind, water, fire, and earth amidst the changing political climates of their world. And how gorgeous are those new covers above? What are some of your favorite fantasy and science fiction series? We had 3 of the same books (series) on our T5W! Harry Potter, Narnia, and LOTR…. although I specifically listed The Hobbit as I tried to continue on with The Fellowship of the Ring and thought it was slow and not gripping enough like The Hobbit was… Am I missing something? Do the next two books pick up the pace? I also only listed The Lion, the Witch, and the Wardrobe because I haven’t read the other books YET, but I am definitely going to continue on.